← Meet the Brewer: Weird Beard Brew Co. If you follow this blog (all three of you – you know who you are!) 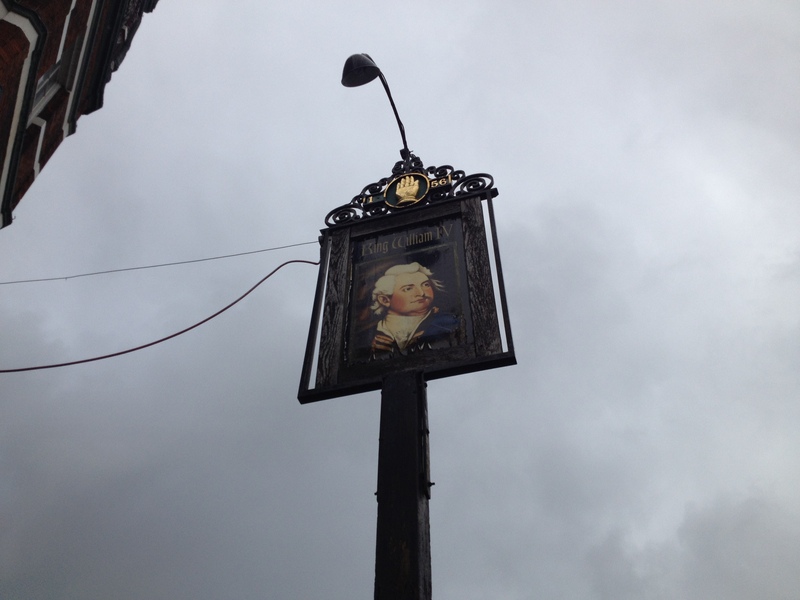 you know that I’m a big fan of East London brewery Brodie’s – I’ve written about them here and more extensively and recently here. After my writeup of the Bunny Basher festival at brewery HQ William IV in Walthamstow, brewmaster James Brodie got in touch, and today I made the trek to E10 to have a chat with James about various beery topics, particularly what kinds of beer we can expect from Brodie’s in the near future. James and Lizzie Brodie (brewery co-founder) were very friendly and enthusiastic and the interview ended with a surprising invite – more on that later. 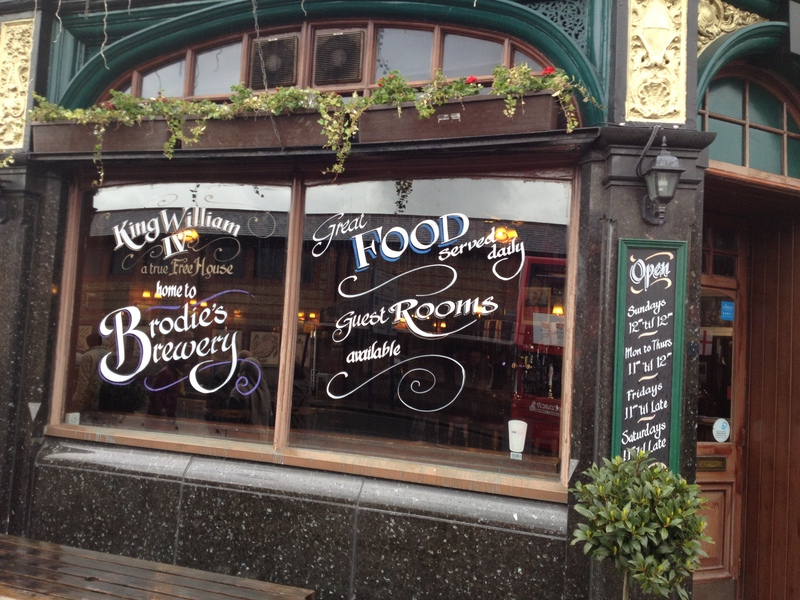 For those of you not in the know, Brodie’s have been around since 2008 and besides the William IV they also operate two pubs in central London, The Old Coffee House in Beak Street in Soho and The Cross Keys on Endell Street near Covent Garden. Brodie’s output can best be described as ‘relentlessly experimental’ – Brodie’s has brewed almost every beer style in the world at least twice, and they constantly innovate, tweak, and develop new recipes. There’s everything from low-ABV sessioners to ABV 22.0 craziness via spiced beers and odd yeast-strand experimentals. “We’re innovating to the extent that we get criticized for it sometimes,” says James. “We never do the same thing twice, and there are a lot of people who think that a proper English brewery should stick to a core range of three beers, two of which are brown.” No surprise, then, that James gets along fabulously with another restless world-class brewer, Mikkel Borg Bjergsø a k a Mikkeller. Mikkeller heard about Brodie’s and came up to the brewery earlier this year to do a collaboration brew, MoFo Stout, and the brewers stayed in touch – Brodie’s are now part of the line-up at highly anticipated festival Copenhagen Beer Celebration (organized by Mikkeller himself) in mid-May, and at the end of May the brewery team are going over to Copenhagen again for a tap takeover at Mikkeller Bar, with 20 Brodie’s beers on tap (readers in southern Sweden take note – you should go!). 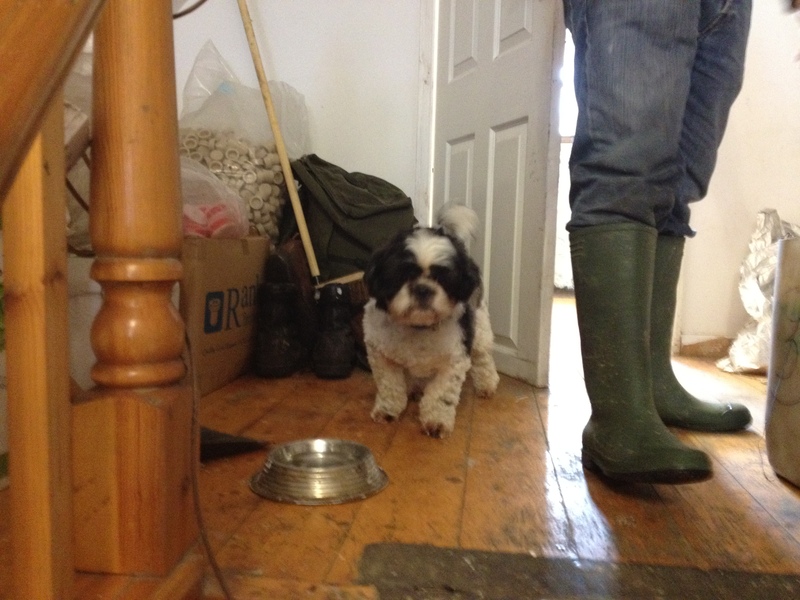 Doodle the brewery dog, guarding the hops. “We’ve also got some interesting collaborations coming up in preparation for our next big festival, our Birthday Bonanza IV in September, we’re probably going to do something with Ryan (Witter-Merithew) from Fanø Brygghus for that – he’s also going to come here for a Meet the Brewer event in August some time. Ryan and the people at Fanø also helped us source some things we needed for a French saison we’re brewing – we’re using a mix of French saison yeast and lacing it with Brett, it’s a special Brett from 3 Fonteinen that they have isolated from their lambic strain.” It all sounds like Brodie’s have got some very special sours coming up, but true to form they’ve got a million other things planned or currently brewing as well: the 10.0 ABV Peanut Butter Imperial Stout is ready and it is going to be followed by a Lavender Stout James is very excited about. 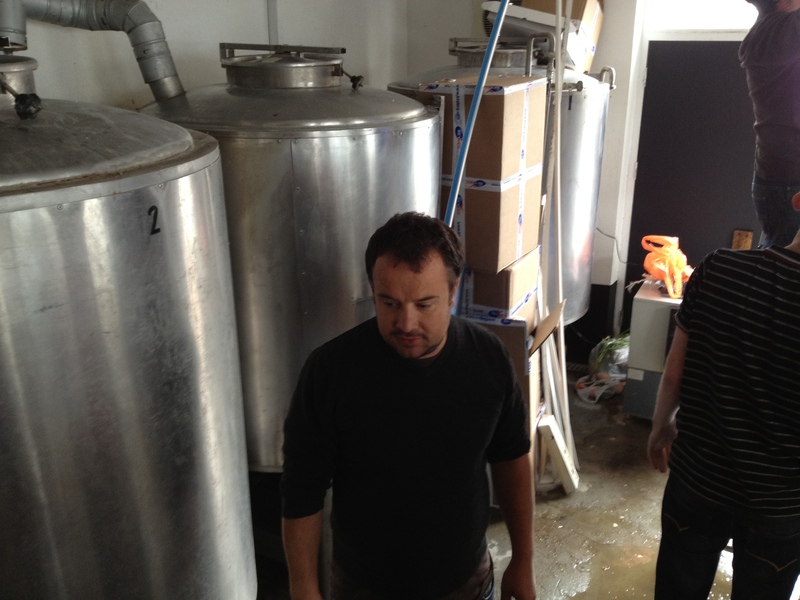 PS: This is not all I uncovered in my interview with James – check back here soon for a London Beer Blog exclusive! Posted on April 27, 2012, in Brewery, Interview and tagged 3 Fonteinen, Brodie's, Fanø Brygghus, Jamaican Stout, Lavender Stout, Mikkeller, MoFo Stout, Old Hopper Ale, Peanut Butter Imperial Stout, Pink Pride, Swedish Spiced Stout. Bookmark the permalink. 1 Comment.